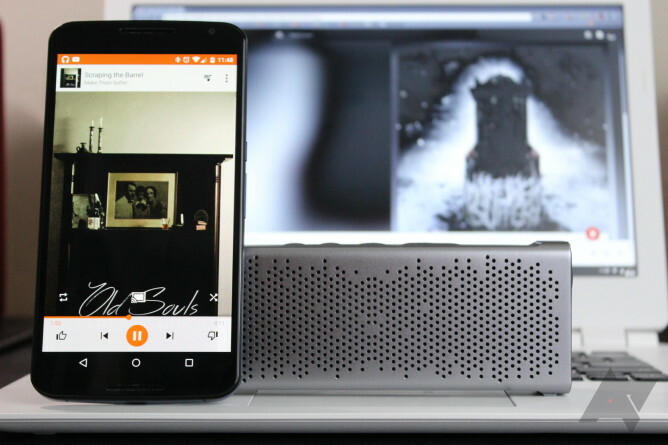 I've reviewed a lot of Bluetooth speakers over the past few years. So, so many speakers. In fact, I've even written about the best speakers that money can buy in a national magazine. I feel like, at this point, I have an excellent idea of what's out there, and what's good for the money. Historically, $99 has been my starting price point when recommending a good speaker, as I haven't really been impressed with anything below that price point. 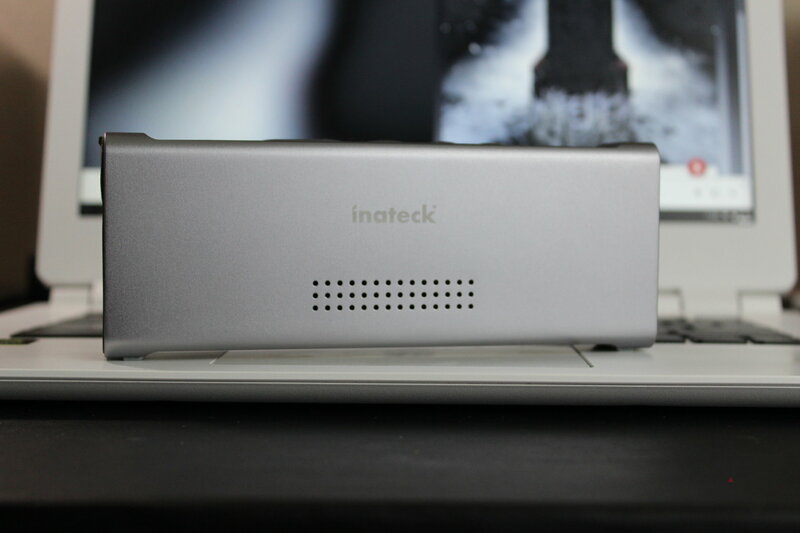 So, when Inatech reached out to me about the MercuryBox, a compact, waterproof, $55 speaker, I had my reservations. But it's been a while since I've checked out anything in this price range, so I figured this would be a good unit to see how far more affordable speakers have come. Right out of the box, this is a pretty typical-looking speaker. 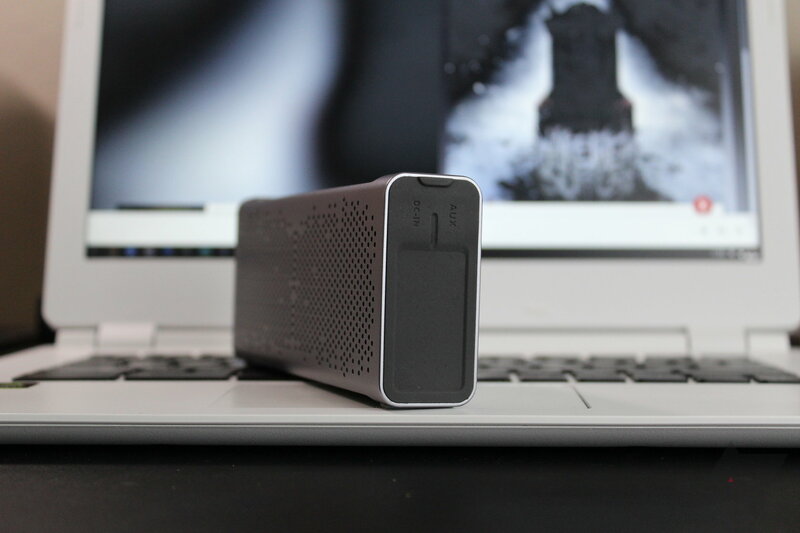 It's about the same size and shape of the Jawbone Mini Jambox, which is nice and compact. 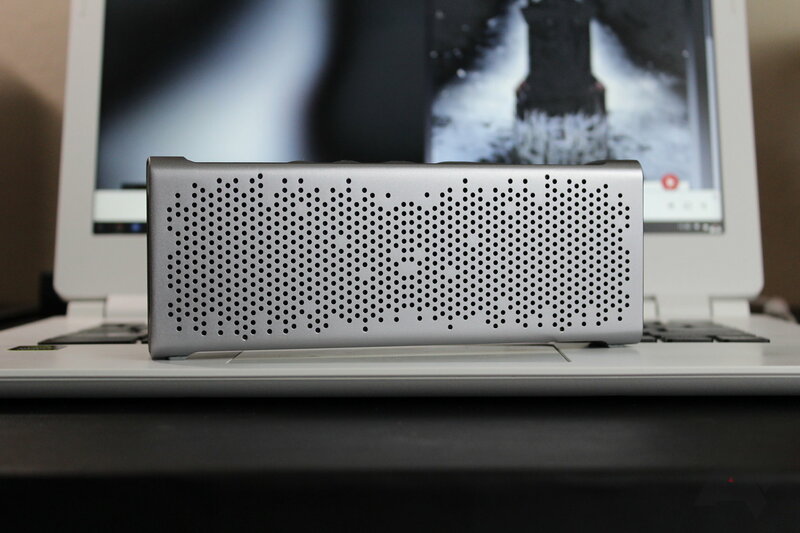 It's got a nice aluminum finish, with a speaker grille that reminds me a lot of a graphic equalizer - quite fitting for a speaker, in my opinion. All the controls are on the top: power, play/pause, power/phone, and volume. All these are pretty straightforward, with the volume buttons being the primary exception. 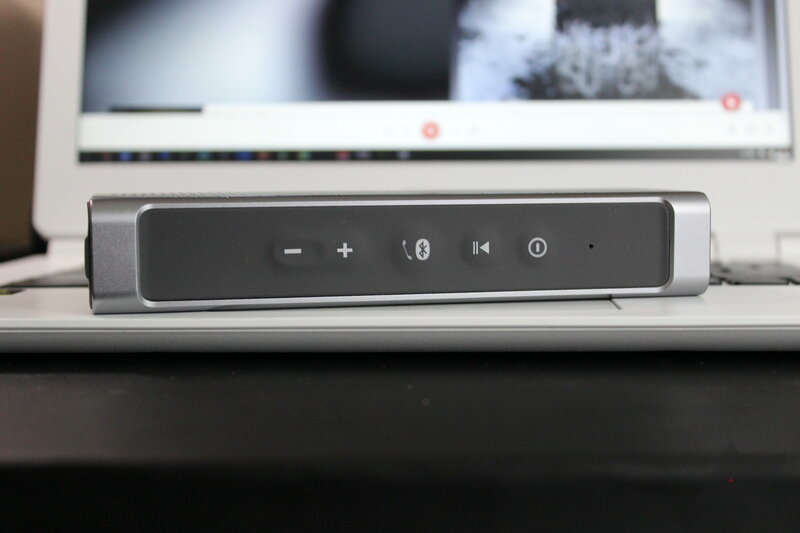 Long-pressing either volume button will control the sound level, but rapid pressing works as a track control system. In my opinion, this couldn't be more opposite - when I'm changing volume, I want clear levels to go by. I do not want to have to long-press the button to change the volume where I want, because I almost always get it either too quiet or too loud; there's no happy medium with the MercuryBox. Plus, if you don't hold the button long enough, you'll skip to the next track. It's actually infuriating (and caused me to run through my Pandora skip limit in a matter of minutes, which really pissed me off). This is easily the worst aspect of the MercuryBox, but hopefully it's something that can be fixed with a firmware update (assuming this speaker supports that feature). 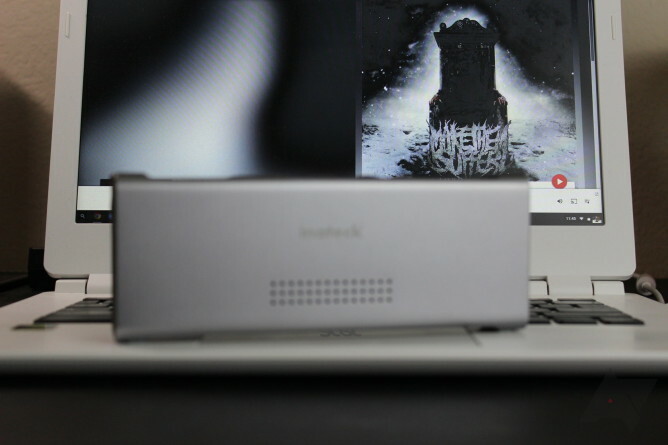 Otherwise, the power and auxiliary input ports are on the side of the speaker, beneath a small, waterproof door. There's also a bass port found on the back to give this little speaker some low-end, which we'll talk more about below. The only other thing worth mentioning here is that it's IPX5 waterproof. That means you can take it in to the pool, beach, or in the shower without issues - keep in mind it's not submersible, though. OK, so it's a $55 speaker, which we have to keep in mind here. It's nothing to write home about - it's mid-heavy (like so many low-priced speakers, unfortunately) and doesn't offer very defined sound. The lows and treble are OK at best. Basically, it's listenable, but that's it. Or, to put it a little more simply, it's like taking a speaker that sounds pretty OK, then sticking it into a sock. Then sticking that sock into another sock, and that one into another. Do this 12 more times, then spray with a water hose until saturated and you'll have the MercuryBox. At least it's waterproof. When comparing it to some of the more affordable options today, like the comparably-priced Jabra Solemate Mini ($55), there's not much of a contest - the Solemate easily trumps the MercuryBox. Amazon is even selling the original Solemate for $60 right now, which is an even better deal. I also recently got my hands-on the just announced G-Tube from G-Project, which is only $40 and mind-boggling good for the price. So honestly, if you're thinking of buying this speaker, just get the G-Tube instead - it's more affordable and sounds significantly better (full review coming soon for those interested). If you can up your budget to $100, there are a whole slew of options, like the UE ROLL, which is basically the best $99 portable speaker money can buy. With all the great speaker options on the market right now, it's hard to find room for a $55 speaker that doesn't even sound that great. Given the MercuryBox's weird volume button issues, that makes it even harder to recommend. Like I said above, if you've only got $50ish to spend on a speaker, check out the brand new G-Tube from G-Project. If you're looking for something a bit bigger, grab the Jabra Solemate (assuming Amazon still has it going for $60). Otherwise, save your pennies and pick up the $100 UE ROLL. You can't really go wrong either way.